All New Recipe & Look! Are you a peanut butter lover? 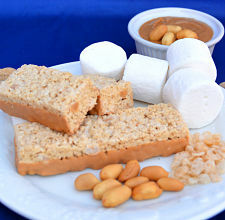 With a smooth, peanut buttery taste mixed with fluffy marshmallow, this bar also has a light, sweet crunch that will be sure to satisfy your cravings!